Only $2.99 for 29 stories! 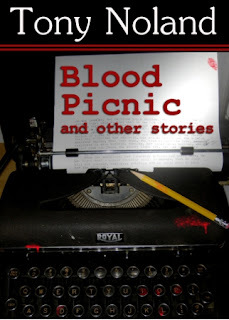 Blood Picnic and other Stories, now in the iTunes Books catalog. 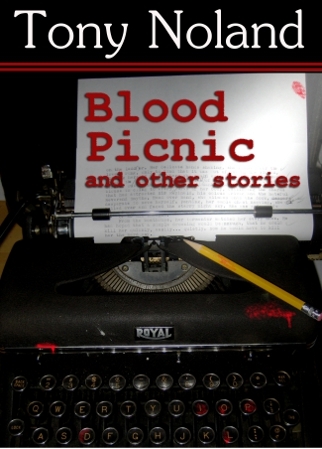 In this diverse collection, the versatile writer and blogger Tony Noland has gathered some of his best flash fiction and short stories. These twenty eight stories range in style from fantasy and horror to magical realism and literary fiction. *When the god of love is furious, you’d better hope it’s not you he’s gunning for. *The most powerful magic ring in the world is defeated… by bad dental work. *A preacher’s sermon will soften the heart of anyone except the one person who matters most. *The funniest man in the world is asked to reveal his secret, with deadly consequences. *A midlist author finally has a runaway bestseller. Too bad that’s the *last* thing he wanted. Whether you’re looking for potent true-to-life tales or you want your fiction full of zombies, flying carpets, deals with the devil and superheroes in trouble, this collection will amuse, delight and surprise you. Go ahead, get it! This anthology looks fantastic when read on an iPad, iTouch, iPhone, iCorticalImplant or iCornea. And hast thou slain the Shoppingblock? The first review of "Poetry on the fly"
A new cover for "Sleepers"
Get me a fsking butterfly, NOW! #FridayFlash: Is this Tony Noland? Bathroom remodel, 3 of 3: "Tackling the Tiling"
Bathroom remodel, 1 of 3: "Damage and Demolition"